Maneater Mildred wears a Sack on her head, and nothing else. She wields a Butcher Knife and a Wooden Plank Shield. She can be defeated quite easily by dodging or blocking her attacks and then counter-attacking. She is immune to the swamp's poison, and she can move freely through the muddy water. 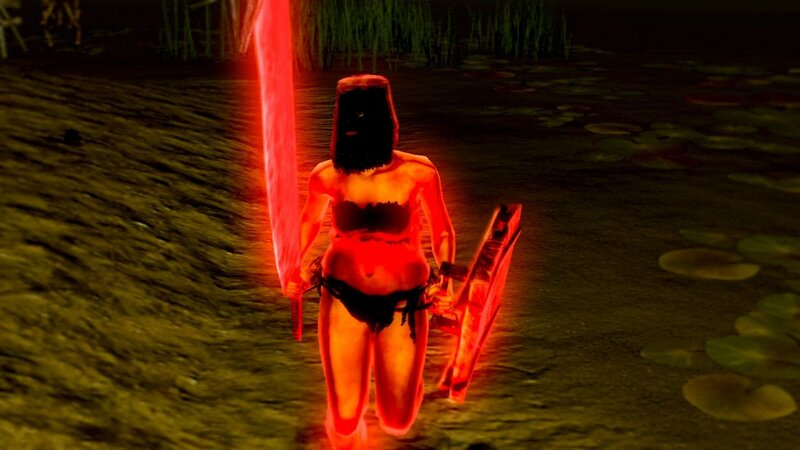 In Human form, The Maneater Mildred invasion can be triggered by walking out to the Right from the Swamp Bonfire toward the Water Wheel in Blighttown. It is posible to steal up to 8 Humanity from her using Dark Hand before she is killed. Since the Butchers in the Depths were revealed to be female I&apos;d say there&apos;s a good chance she is an unhallowed version of them and is maybe hunting people as a black phantom to get humanity to turn her friends(sisters?) back into humans. not sure if it&apos;s a thing, but she doesn&apos;t seem to invade if Quelana is present?